Ballyhanwood is a townland in County Down. The northern edge of the townland is slowly being paved over for carparks, as the 21st century has brought new businesses to Dundonald serving movie-viewers, diners, bowlers, ice-skaters, tennis players, swimmers and pirate golfers. The rest of the townland is hilly farmland, at the top of which you can get some panoramic views over Belfast. 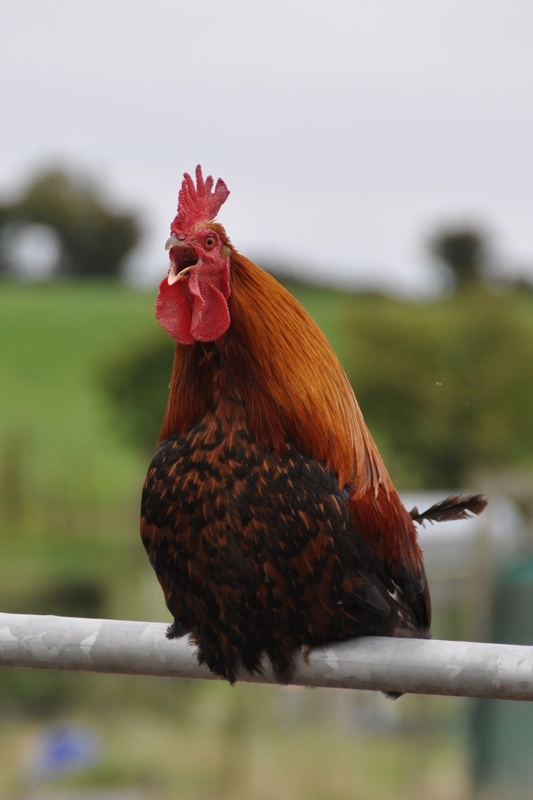 One of the farms on the Ballyhanwood Road – Streamvale – is open to the public. 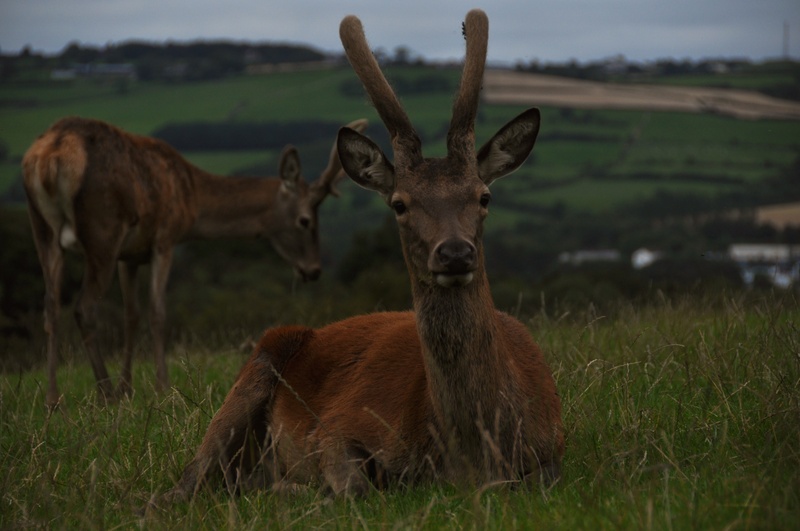 The best view there is enjoyed by the red deer. I could see my own house from there. Which isn’t really anything to crow about. 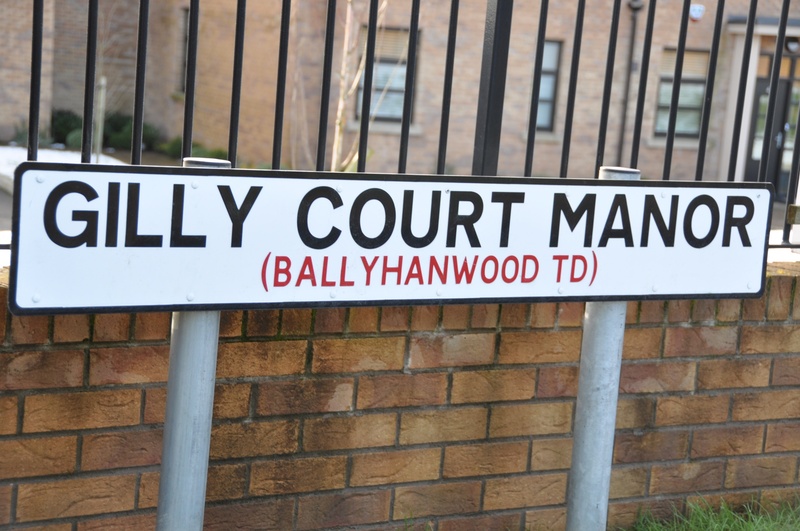 According to the PLACENAMESNI website, the origin of the name Ballyhanwood may be the English surname Henwood, via the Irish Baile Sheanóid. 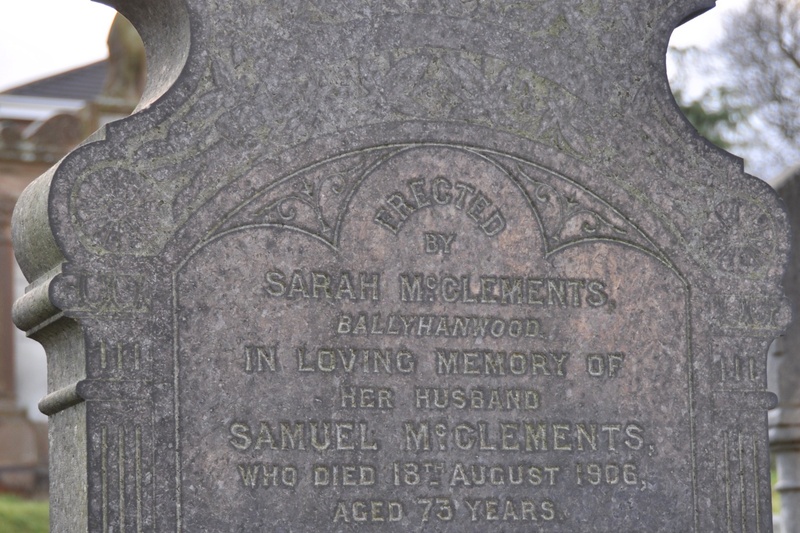 When I look for townland names to photograph, I sometimes struggle to find a modern sign, which leads me back in time to old gravestones, like this one for the McClements family in Gilnahirk Presbyterian churchyard. Sometimes the name appears in the wrong townland, like the Hanwood Centre (Tullycarnet) and Hanwood Heights (Ballybeen). This time I was lucky, with the right name in the right place. The Gilly Court Manor apartments were built on the site of an old military radio station. Click here to read some memories on the BBC website of secret work at the station during the Second World War. Or click here to see photographs of the site before the new homes were built. Which townlands border Ballyhanwood? To the west, Gilnahirk, Gortgrib and Tullycarnet. To the north, Ballymiscaw. To the east, Ballybeen and Ballymaglaff. To the south, Lisleen.